The Daily Beast "scoured biographies, presidential libraries, and available records to come up with [their] list of the presidents who were the most avid readers. The list is based on the size of their libraries, references to their reading habits, and what the types of books they read." When the British burned the 3,000-volume Library of Congress, the president with a self-described “canine appetite for reading” stepped in. He immediately offered Congress between 9,000 and 10,000 volumes from his personal collection as a replacement—Congress ultimately took the entire collection, which amounted to 6,487. 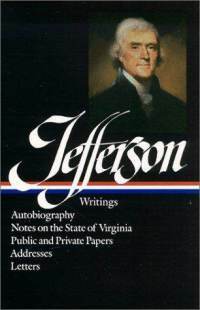 Jefferson read so copiously, even in languages like French, Italian, and Spanish, that he once designed a rotating bookstand that allowed him to consult five books at a time. He also devoted the latter years of his life to collecting, building relationships with every bookseller in New York and Philadelphia, along with many more across the Atlantic. For the range of his reading, he comes in third. Read about another president on the list.